For 6 years I have waited. In my dreams, I hear your precious voice. I feel the joy in my soul and pride in my heart with every spoken word. But, sadly, I awaken to see you sleeping and I know that it was just a dream. Sometimes, I wipe the hot tears of sadness from my face as I squeeze you tightly and wish one more time, that one day, I will awaken to the sound of your voice. Last night was different. As I lay next to you knowingly wide awake, the two of us, I heard it. The first word. It was just 3 little letters in a brief, fleeting moment. It was slow and deliberate. I quickly pulled out my camera and asked you to say it again. You spoke the word, beamed with pride, reached out for a hug, and then slowly drifted off to sleep. As the video replayed, my heart leapt from my chest and I felt the familiar feeling of hot tears rolling down my face, but this time…this time, they were tears of joy. Never has the word “Mom” sounded so sweet and meant so much. This time, I cried myself to sleep happier than ever. Lest I think it was a fluke, today, I have asked you time and time again, and every time I hear you say “Mom”, my heart melts. You have had many sounds for so long, but today was the first time they held meaning. The first time you looked directly in to my eyes and said what I have been longing to hear. The first time they were more than a button on your iPad. As I listened to your baby sister coo and babble, my heart hurt thinking she would reach this milestone before you. You have worked so hard for so long, and today, that hurt was replaced with a renewed hope that soon, we will hear all of the words you have been waiting to speak. All the words we have been waiting to hear. Several years ago, the thought of having another baby after all we’d been through with Braxton was simply out of the question. I was scared and nervous to even entertain the thought. As friends of ours who also have children with special needs began expecting a child, I started to think more about the possibility. I asked them questions about how they felt, if they were doing more in-depth genetic testing from the very beginning this time, and ultimately admired from afar. At that point in time, I had decided that *if* we did get pregnant again, that I wasn’t going to be blindsided this time. I was going to ask for more testing up front so we would know what to expect this time. Going through an uneventful pregnancy and being told something is wrong with your baby moments after birth and then waiting nearly 2 years for answers is an experience I never wanted to go through again. But, this summer, it happened. I found out I was pregnant. We had been talking about having another baby for quite some time and finally our prayer was answered. At my first appointment, I was 8 weeks along, and the doctor explained she wanted to go through everything as if it were my first pregnancy to be sure she didn’t forget something or assume I knew something I didn’t. She began explaining our options for the standard “First Trimester Screen.” She told us about the standard testing they have been doing for years and explained the test and it’s efficacy in determining if a child will be born with Down Syndrome. She went on to explain that there is a new test that can predict with approximately 96% accuracy and will also tell you the baby’s gender by 12 weeks. And there is another test that can check for a variety of other conditions as well. I looked over to my husband, and knew we were on the same page. When we spoke after the appointment, my husband asked if I wanted to do the in-depth testing, and surprisingly, I said no. He then told me he felt the same way. We decided that knowing wouldn’t change anything. We’ve already been on the journey, we’ve already got the resources and the support. If, by chance, we found ourselves on the journey again, we wouldn’t be blindsided this time. This time, we were ready. And finding out wouldn’t change whether or not we would keep the baby or make us love her any less. I realized that we were in a very different place than we were several years ago, when we thought we’d ask for every test under the sun. I knew that with my husband the systems we had in place, there was nothing we couldn’t face. However, it wasn’t until several weeks later that I realized that not everyone was on the same page. Disability affects the whole family. I know this. Disability is a part of many conversations in our household and my daughter is very attuned to the issues we face with Braxton and more recently, with her as well. She was diagnosed with ADHD in December of 2014, and while some people may not see that as a “special need” or a “disability,” there have been some aspects of the condition that have been truly debilitating for her and we have been working hard to get her the support she needs medically and in school. She is very aware of the difficulties she’s faced and often feels like an outsider, despite our best efforts to build her up and make sure she is included. Some time after I told her she was going to be a big sister again, she came up to me while I was cooking and said, “Mom, do you think the baby is going to be born like Braxton or like me?” At first I thought she was asking if the baby was a boy or a girl, or maybe if the baby would have her tanned skin or Braxton’s light skin. “What do you mean?” I asked. “Do you think the baby will have a disability like Braxton? Or do you think she will have ADHD like me?” I was completely caught off guard and said something like “Oh, don’t you worry about that. Baby is going to be just fine.” She seemed content with that answer and scampered off to watch TV. I have struggled with the disability conversation with my daughter from the beginning. How do I tell her about her brother? How do I make sure she doesn’t feel left out? What do I do when she thinks all the attention is on him and not her? We have had some struggles but for the most part I seemed to have found the right words and she has been such a huge advocate for herself and for her brother. But, now, I am at a loss again. Do I reassure her that the baby will be fine? Or will that make her feel inferior because the baby is “normal” and she’s got a diagnosis? I have tried to tell her that there is no such thing as “normal,” that we are all born with our own special quirks and that’s what makes us all so unique. For now, she is appeased. She is excited to meet her sister. She kisses my belly every night and talks to her sister often. Hopefully I can find the right words to put my sweet girl at ease the next time she asks. Hopefully I can help her find her way to a place of acceptance and help her move past whatever mountain seems to be standing in her way. I am writing to you today as a parent, therapy provider, and concerned citizen regarding the significant delays Texas Medicaid is currently experiencing with authorizations which are drastically affecting continuity of care and quality of life for my son and thousands of Texas children. These delays seem to be a direct result of recent legislation passed to decrease funding to the Texas Medicaid program by approximately $350 million (Rider 50). While the proposed budget cut is currently on hold due to a court injunction, it would appear HHSC has implemented these cuts in the form of delaying authorizations in effort to save the program money. As a provider, here is just one such example. I received an authorization September 15, 2016 at 7:15 pm via fax. Our office submitted this authorization request on August 1, 2016 – 46 days ago. This letter is dated September 1, 2016 and the authorization period begins on August 15, 2016. The Texas Medicaid Provider manual states that services will not be compensated for without an authorization and authorizations will not be backdated, so therefore, we as providers, must tell our therapists that they cannot see their patients until authorization is received or we risk not receiving payment for services rendered. In this case, our therapist has not seen their patient since the evaluation was performed on August 1st. Now, here we are 46 days later and we find out that 15 days ago our authorization was approved and backdated an additional 15 days, so our patient has missed a month of therapy because we were not notified in a timely manner. Furthermore, our request was for two visits per week and the reviewer denied our request suggesting our patient only required one visit a week due to “slow progress toward therapy goals. “ This is only one example of many we have personally experienced and the countless more we know other patients and providers to be currently experiencing across the state. On average, our authorization requests are taking 4-6 weeks to be approved, if no additional information is requested. If Texas Medicaid & Healthcare Partnership (TMHP) requests additional information, the delay is an additional 2-3 weeks, at minimum. Per the TMHP manual, we cannot submit authorization requests more than 30-days prior to the expiration of a current authorization rendering us unable to be proactive and submit requests 4-6 weeks in advance. As a result, with the current timeline of approval our patients are experiencing 2-3 week lapses in therapy service, and sometimes greater. These delays are detrimental to the health and well being of our patients. One month without therapy can cause significant regression for chronically ill and long-term disabled children. To add insult to injury, our patients are experiencing regression and loss of skills due to authorization delays and when our request is reduced to once a week visits instead of twice a week, our patients do not have adequate service to reach their prior level of skill nor continue to make significant progress toward goals. Progress is slow because our therapists have to take several steps backward to get our patients back to where they were before there was a lapse in treatment. And then attempt to make progress toward the goals previously set. The authorization delays directly coincide with the time period in which the court issued an injunction to delay implementation of Rider 50, which would reduce payment for therapy providers. Thousands of children across the state are experiencing lapses of 3 weeks or greater, which, in turn, is undoubtedly saving the state a great deal of money. This seemingly underhanded attempt to implement the budget cut despite court rulings is gross negligence and directly impacting the lives of our children. For many children, therapy is required to maintain current level of function, to decrease the chance of contractures or serious injury, to ensure safety in the environment, to improve and strengthen fine and gross motor skills, to teach speech, to correct speech deficits, to ensure safe feeding, to improve quality of life by teaching skills that will allow children to interact with their peers, and for so many other reasons. Therapy is a cornerstone of ensuring proper development in children. Additionally, providers have tried to address these concerns with TMHP reviewers and we are told that authorizations are going to nurse review and there is no time period for which they must be approved. Meanwhile, parents are calling TMHP and the Medicaid Ombudsman’s office and being told that authorizations should be approved within 3 business days. As a result, our patients assume it is the providers delaying the authorization and we are losing the trust and rapport we have worked hard to earn from our patients. The lives of our state’s most vulnerable citizens seem to constantly hang in the balance while legislators and state departments toy with policies looking to save money all while harming the lives of children. It is clear that the powers that be do not understand the needs of special needs community nor do they know how to meet those needs. As a result, children across the state are currently without the necessary services that would improve their quality of life. This issue needs to be rectified immediately. As it stands, the state is currently profiting off of the steady decline in health and absence of service for our children, which is simply abhorrent, to say the least. I hope your respective offices will look in to the matter and ensure corrective action will be taken. My son has a life-long disability and depends on therapy services to provide him his best chance at success in life. 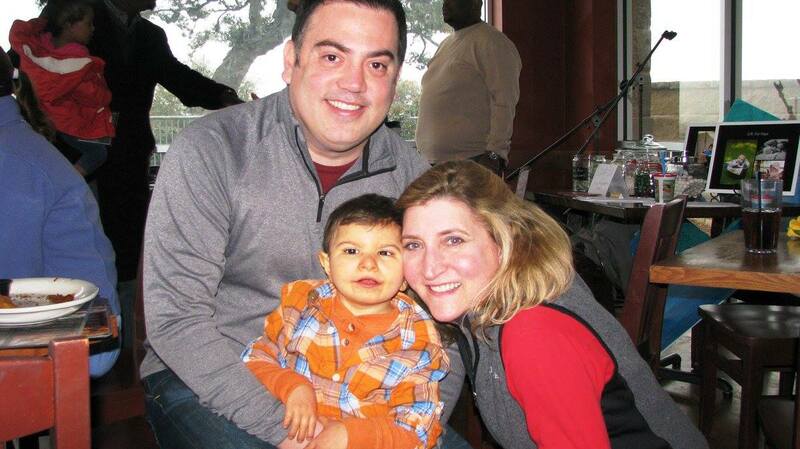 The issues I continue to see with Texas Medicaid provide me with little hope for his future. I know that one day soon, his service will be denied, as it has been for several of our chronic patients, because what we see as leaps of progress, you deem to be “too little” progress. While Texas is historically a pro-life state, the state places little value on the lives of the disabled, which is evident when legislation passes that can directly harm their lives. It is unfortunate when families like ours rely on the Texas Medicaid program, even as a secondary insurance (as we do), because without it we simply could not afford the staggering costs associated with caring for a disabled family member, only to have that crucial support ripped away due to systemic downfalls and budget cuts. As you prepare for the next legislative session, it is my hope you will have greater consideration for the lives of your most vulnerable citizens. They are your sons, daughters, nieces, nephews, grandchildren, and they desperately need you to speak up for them in these matters because they deserve the right to a full life. They deserve access to quality healthcare, to programs that enrich their lives, to services that will enable them to become successful tax-paying citizens. We, the families, the providers, the taxpayers, hope for a resolution – sooner rather than later. 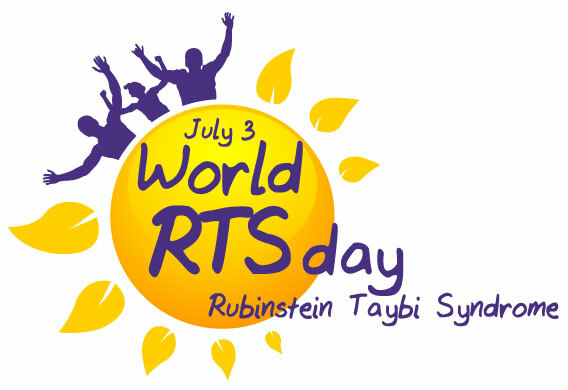 Today is World Rubinstein-Taybi Syndrome Day! 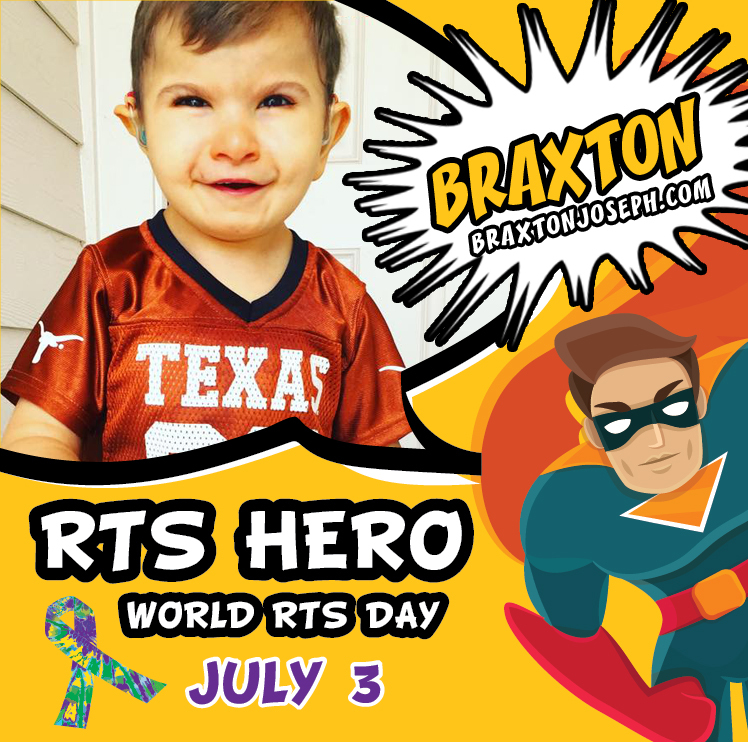 World RTS Day is recognized each year on July 3rd. For the past several years, I have shared our story and various medical facts about RTS to raise awareness of this rare condition. (You can read those posts here and here.) While the medical facts are extremely important to know and understand, I have also realized that sharing our life experiences is equally important. Sharing medical facts is important because you never know who you might reach. Perhaps, there is a family out there like us, living in the dark, not knowing what is going on with their child, with a team of doctors baffled and scratching their heads – that family can use the medical facts to finally find answers for their child. That family might not have to wait 2 years for a diagnosis like we did. On the other side, we have to go beyond just the medical facts. We must share our life experiences so that people know what life is really like for individuals with Rubinstein-Taybi Syndrome – it isn’t always as it is portrayed in the research. So, this year I want to go beyond the Medical Facts. If you’ve followed our blog and Facebook page, you have a great insight into our lives and our journey with Rubinstein-Taybi Syndrome. For those who are new to our journey or parents learning their child’s diagnosis for the first time, here are just a few things I want you to know about RTS this year. Rubinstein-Taybi Syndrome is not terminal, but it is lifelong. 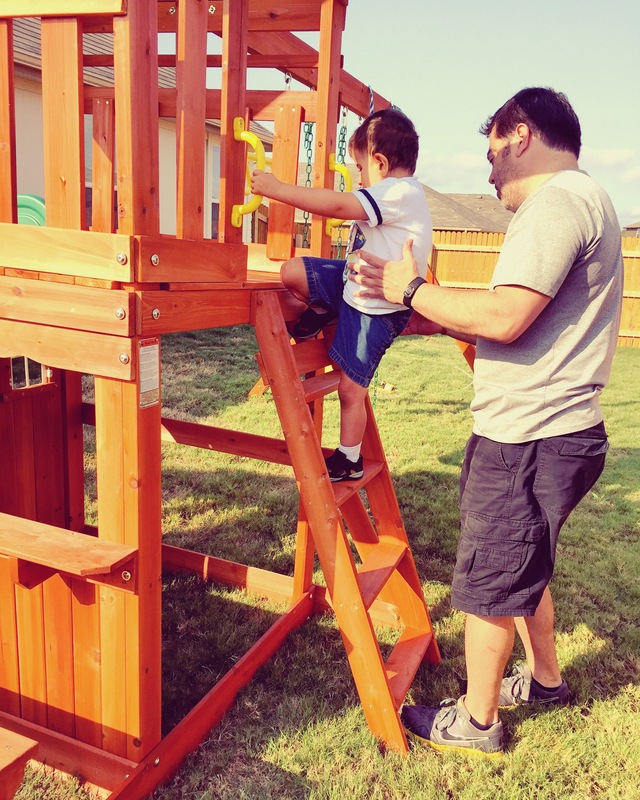 Because of the diagnosis, there are challenges our children will face their entire lives with communication, gross motor skills, dexterity, endurance, living independently, and much more. But, this is not something to be pitied. Our children are resilient. They learn to experience their world in ways we might not have ever imagined. It might take them longer to get there, but they do attain skills like walking, running, jumping, climbing, and much more. Our children are capable of so much! When I first learned about our diagnosis, words like cancer, developmental delay, musculoskeletal issues jumped off the screen. I immediately began thinking of all the things Braxton would never get to do. He’d never throw a baseball with his dad, never ride a bike, never play on a playground. But, when I joined a Facebook group for families of children with RTS, I found hope. 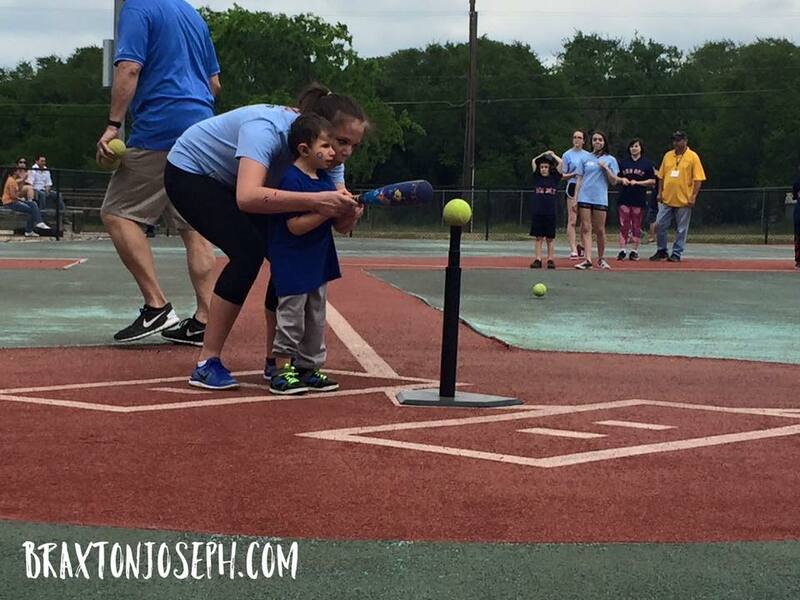 There were families who had children playing baseball, swimming, running, and Special Olympic athletes. I realized that despite what the research said, Braxton had endless opportunities. And, look at him now…. 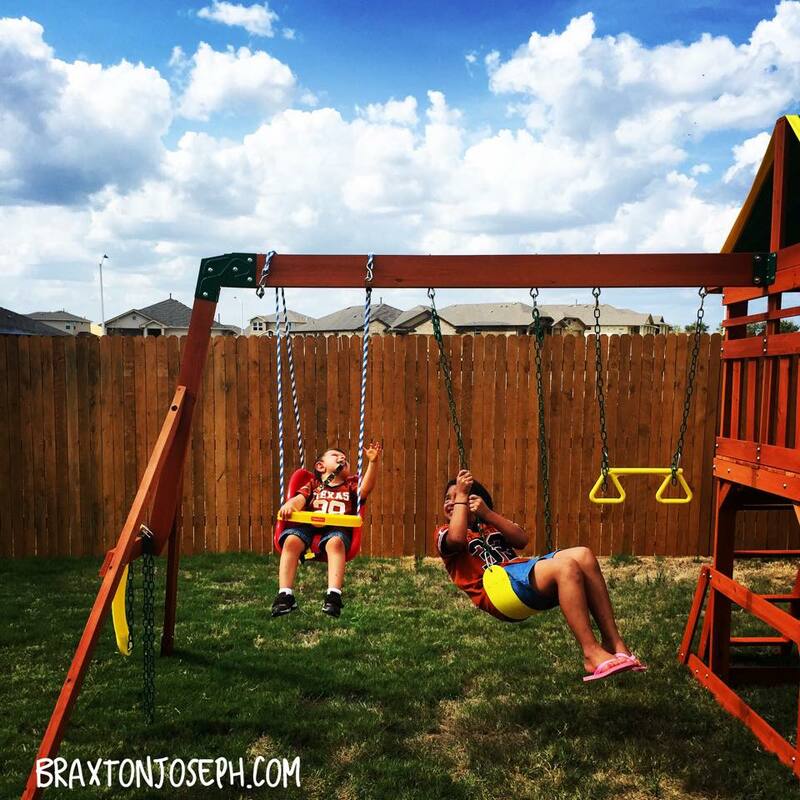 Braxton played Baseball with Miracle League this year, he’s learning to ride his AmTryke tricycle, he loves being in the water, and he enjoys swinging with his sister. 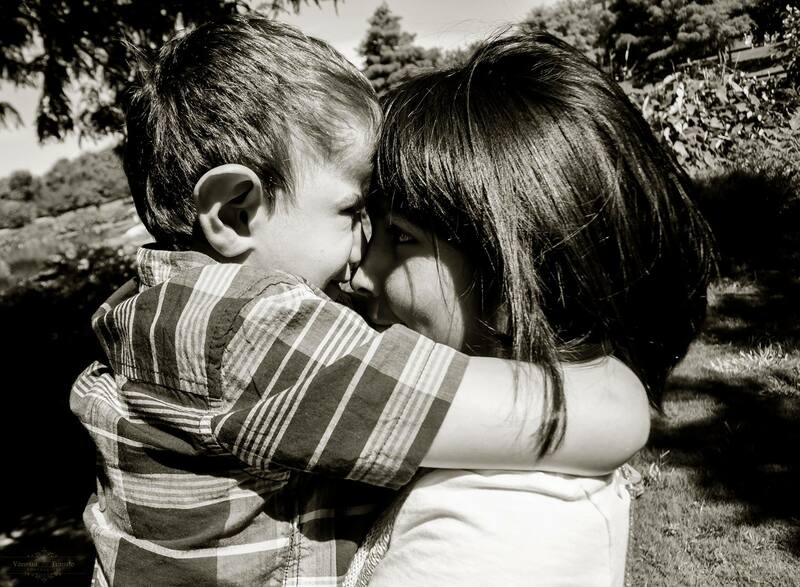 Our children exude love and happiness. No, not every day is sunshine and rainbows, but most of the time our sweet kiddos have a smile on their face. Don’t get me wrong though, Braxton has a temper like no other! I’m willing to overlook that some days when he flashes that big smile and wraps his arms around me for a big bear hug. 😉 Braxton knows no strangers. He sees the good in all of us and loves unconditionally. The smile is the one almost universal characteristic trait of Rubinstein-Taybi Syndrome. The medical challenges are tough and often difficult to handle, especially in the first couple of years. Although we did not have a diagnosis, Braxton’s first two years were incredibly difficult for us. 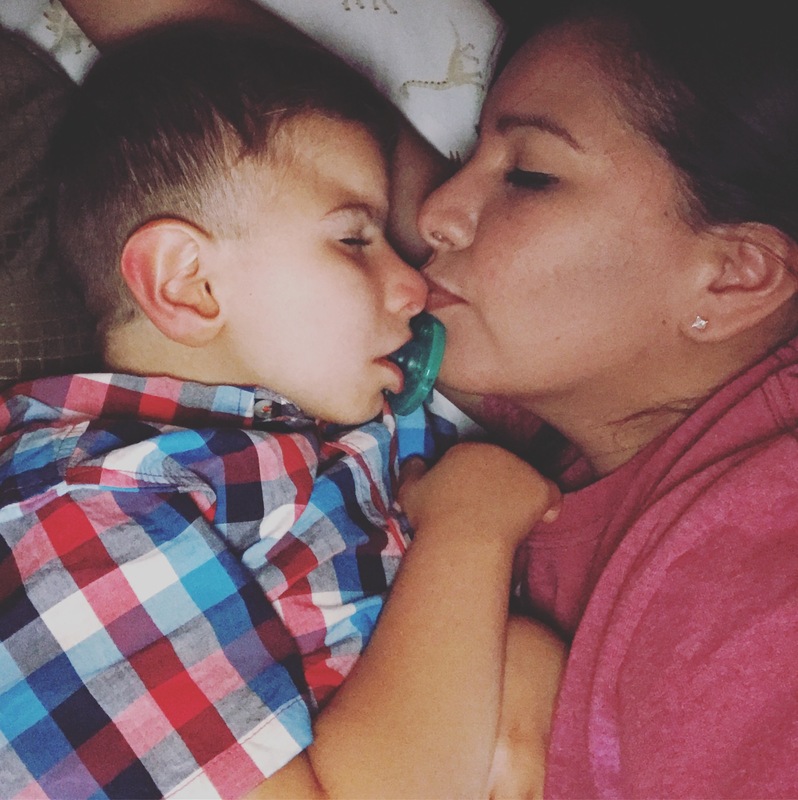 On top of not knowing what was going on with him, we saw over a dozen specialists, he had several surgeries and medical procedures, he was hospitalized once for pneumonia, and he was sick constantly with colds, sinus infections, and ear infections. However, despite these challenges, it DOES GET BETTER! Braxton has been medically stable for the last 3 years. 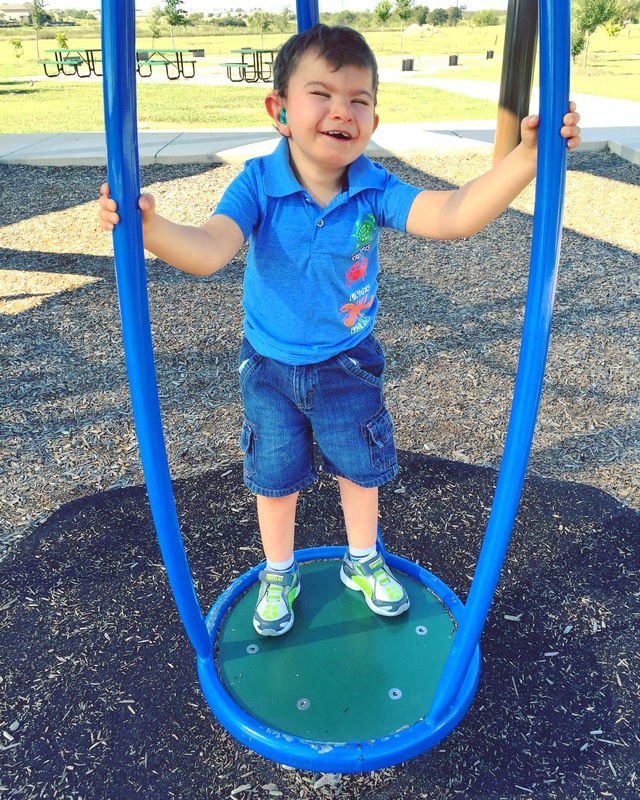 He is making great progress, achieving therapy goals, and staying healthy. We still have all of our specialists, but our visits are down to annual visits and some doctors have simply said, “He looks great, call us if you need us!” I know how difficult those early years are, but hang in there, there is a light at the end of the tunnel. The fear and the worry never go away, but they do get quieter. I was terrified in the early days and again after getting our diagnosis and reading the medical research on RTS. But, now 3 years after our diagnosis, the fear and the worry no longer consume my life. They are always there in the back of my mind and with every cough, every sniffle, every fall, I wonder if this is going to be the event that turns our world upside down all over again. I hold my breath for a moment and then I remember to breathe. I can tell you not to worry, not to be scared, but who am I kidding, it’s our parental instinct to worry and be scared for our babies. So, instead I’ll tell you that it’s okay to be worried and be scared, but don’t let it keep you and your baby from living life. Take chances, take risks, hold your breath, but don’t forget to breathe. Rubinstein-Taybi Syndrome is a diagnosis that is a large part of our child’s life and shapes the experiences and the way our children interact with the world around them. It has it’s challenges, it’s highs and lows, but doesn’t prevent us from living life. I want you to know about the medical facts, how rare it is, and how it effects us, but I also want you to know that our children have the same life experiences as other children. They may require some accommodation and do things a little bit differently, but they love big, play sports, dream, and learn just the same. 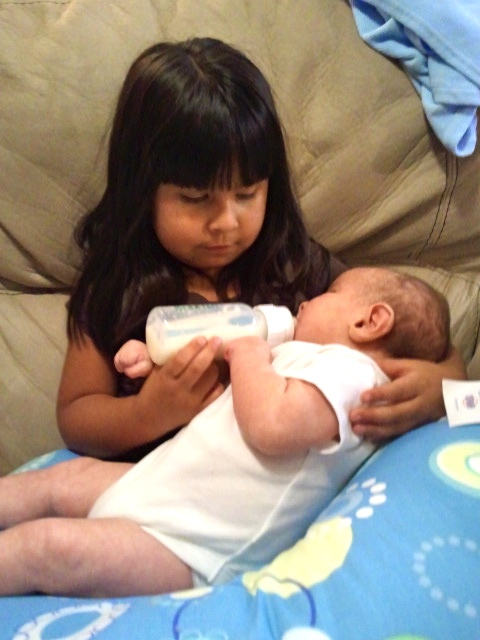 Learn what makes our babies different, but also learn what makes us the same. Then, we not only have awareness, but we also have inclusion, acceptance, tolerance.